On Sunday 25th November, East London Fawcett Group (ELF) hosted an event to raise awareness of the challenges facing women in sport and to raise money for female boxers in Kabul, Afghanistan. The event included a panel discussion, with guest speakers Kate Johnson, United States Olympic Medal-Winner for Rowing, Stylist Magazine’s Francesca Brown, Great Britain Long jump Athlete,Abigail Irozuru and Trecia Kaye-Smith, Jamaican Triple-Jump Athlete. The event also saw Naomi Gibson, Founder of women-only boxing club Girls in Gloves in conversation with young British Boxer and Artist Lucy May. The event closed with a film by Melanie Brown, Fighting for Peace: Kabul’s Female Boxers, which was introduced by Melanie in conversation with ELF’s Head of Fundraising,Dani Mason. 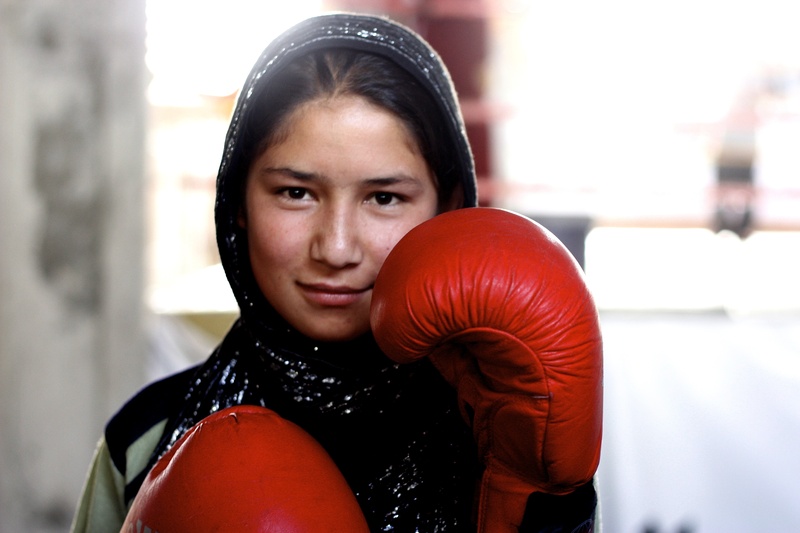 The film documents three young female Afghan boxers, Sadaf Rahimi, Halima and Shamila, as they struggle to pursue their passion for a male dominated sport in a patriarchal society. The event raised over £400, which will go towards purchasing new sporting equipment and a boxing ring for the girls in Kabul and inaugurates a Foundation focused on bringing the boxers to the UK where they have been invited to participate in specialist training. The event raised important questions, such as what role and responsibility do parents have for encouraging sport in girls; why are successful female athletes trumped on sponsorship deals by their male counterparts; is sports coaching a man’s game? 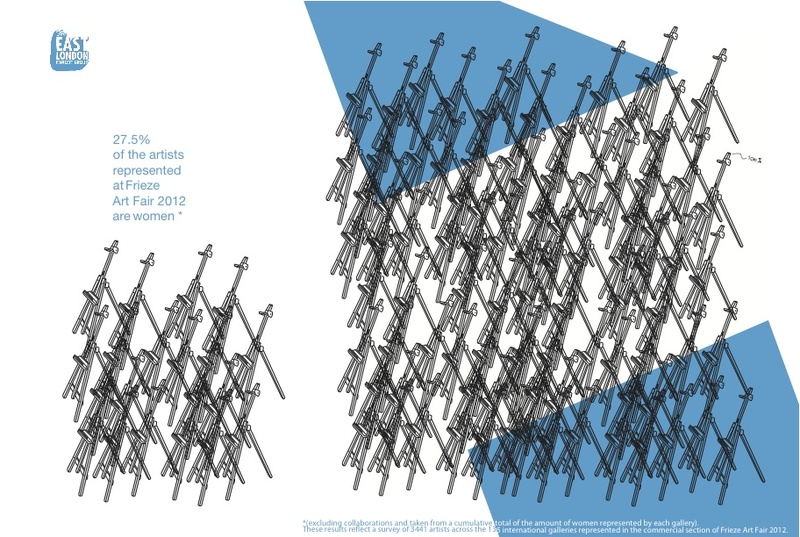 Francesca Brown, who leads Stylist’s Fair Game Campaign and chaired the discussion, reported that women earning over £50,000 per year are more likely to play sports an average of 3 times per week, whereas those earning less than £15,000 are likely to have no involvement in sport. This highlighted the relationship between sport and class and an economic obstacle that forms just one of the many barriers to women’s involvement in sport. Panellists also spoke of creating a level playing field in schools and the disparity in the quality of sports education between private and state-funded schools. All participants emphasised the value of sport, referencing benefits for women including increased confidence, physical health, capacity for self-defence and general quality of life and happiness. Trecia Kaye-Smith and Abigail Irozuru were a huge inspiration to the audience, sharing the highs and lows from their careers at the top of their game. Olympic Medal-Winner and Senior Marketing Executive, Kate Johnson, shocked the audience by describing her experience on the starting line of an Olympic Final, worrying about fat showing – demonstrating the huge pressure to look good on even the most successful, intelligent and talented of women. Hosts for the event, Margaret Pope and the Body Studio, will be driving the campaign and fundraising agenda forward by launching a Foundation to support sportswomen in developing countries in receiving the necessary training and equipment to reach their potential.